NEW YORK, Nov. 15, 2018 /Prexly/ — CyndX, one of the most advanced investment search platforms for companies, financial institutions and investors looking to enhance their capital raising and M&A efforts, is pleased to announce its sponsorship of SXSW Pitch (formerly SXSW Accelerator), a marquee event in its eleventh year at the South by Southwest (SXSW) Conference & Festivals in Austin, Texas in March 2019. "SXSW Pitch Presented by CyndX" gives 50 interactive technology companies from 10 different categories the opportunity to compete in front of a live audience, panel of expert judges, venture capitalists, and high-profile media. CyndX Founder and CEO Jim McVeigh will serve as a panel judge for the Entertainment & Content category. Mr. McVeigh, a veteran investment banker, has advised some of the largest technology, media and telecom companies over the last 20 years, including: Facebook, Google, LinkedIn, AT&T, Comcast, Charter, and Time Warner. "We're excited to sponsor this media and technology-focused event that is designed to help bridge the gap between innovative startups and eager investors," said Mr. McVeigh. "We wish all applicants the best of luck throughout the process," he said. "Whether you're an entrepreneur seeking your first funding round or a managing director at a top-tier investment bank, CyndX's platform adds value by providing comprehensive, algorithmically-curated investor information and private company data in a simple, smart, user-friendly system to identify a broad spectrum of investment or partnership opportunities." SXSW is slated to announce the finalists in January. SXSW Pitch will take place at the Hilton Austin Downtown on March 9-10. Winners from each category will be announced on March 10 during the SXSW Pitch Award Ceremony. "SXSW Pitch Presented by CyndX" showcases the future of emerging and innovative technology," said Chris Valentine, SXSW Pitch Producer. "Since the inaugural SXSW Pitch event, 71% of a total of 453 participants have received funding and 16% have been acquired, resulting in over $5.4 billion of funding for SXSW Pitch alumni." All finalists across all ten categories will be eligible to receive a complimentary one-year subscription to CyndX Raiser, a software platform that analyzes data from millions of historical funding rounds and investor profiles, and offers a curated, bespoke list of the most relevant investors for a deal. All contestants will be eligible to receive a one-year subscription to CyndX Owner, a capital table management software product that allows companies to keep track of any share issuance, transfers, repurchases or cancellation, as well as analyze hypothetical financing rounds. Founded in 2013, CyndX is a financial technology company reimagining how people discover business opportunities. 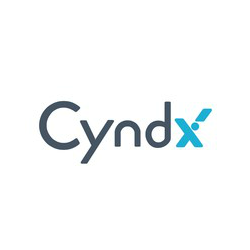 The collaborative result of seasoned investment bankers, data scientists, product teams, and M&A specialists, CyndX provides secure cloud-based solutions to help companies and financial institutions obtain comprehensive, algorithmically-curated investor information and strategic recommendations to enhance their capital raising and M&A efforts. CyndX is powered by AI, deep learning and NLP-driven algorithms that enable companies, advisors and investors to see relationships and emerging investment opportunities. CyndX offers three subscription options specific to the end user including: (i) CyndX Finder, which identifies the most relevant companies within a target area of interest and offers advanced insights into a company's positioning, operations and growth potential; (ii) CyndX Owner, which streamlines capitalization table management, allowing companies to keep track of any share transferring, repurchasing or cancelling, as well as analyze hypothetical financing rounds; and (iii) CyndX Raiser, which analyzes data from millions of funding rounds to curate a bespoke list of the most relevant investors for your deal.